Capture One Pro 11. Works with all supported DSLR camera files with full functionality. Capture One Pro Sony 11. Works with supported Sony camera files only with full functionality set. This Sony version is available at a huge discount because Sony made an agreement to subsidize part of the cost. If you are a Sony user, this could be the reason for you to try and see if you like it. Capture One Express Sony. Free version. Works with supported Sony camera files only but with less number of functionalities. 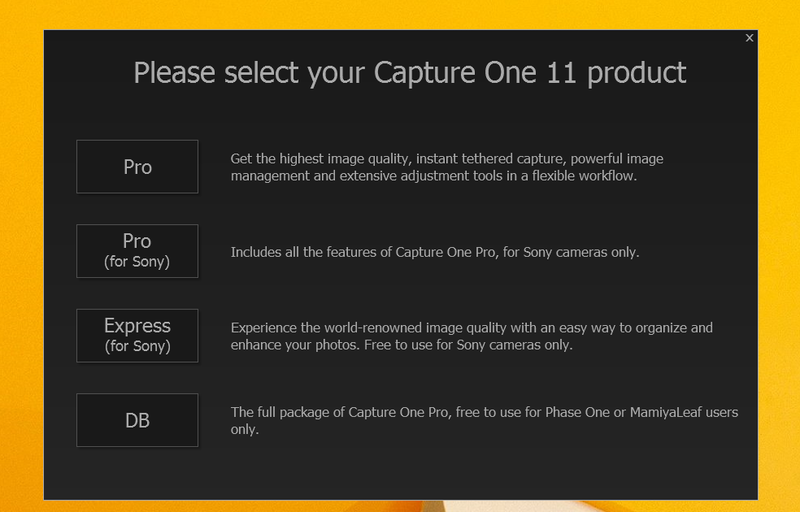 Here is the link to PDF file from the official Phase One website talking about the differences between Capture One Express Sony and Capture One Pro version. Once you finish installing this software, it will ask you about the version you want to use on the first launch. If you choose any of the first two options, you will have to select between "Buy", "Try", and "Activate" in the next step. Based on 2 weeks of my experience with Capture One, here is what I liked and didn't like. True tethering: I love this feature. Yet to see another software that can shoot tethered with so much ease and efficiency. Superior colour edits: Capture One honestly blows Lightroom Classic out of the water with its three-way toning, adjustable hue ranges, custom colour selections, colour masking and skin colour smoothing. All of these features are present in Adobe Photoshop but not in Lightroom Classic. More versatile local edits: You can do layers and create all sort of masks to edit a particular area of given image. This is something Photoshop can do but not Lightroom. Lots of customization options: There is a bit of learning curve, but you can customize every tab in Capture One to make it look similar to Lightroom. Cheap for Sony: Wish I was a Sony person as they get this software for less than one-third of its original price. Doesn't play well with DNG files. Poor rendering, my old DNG files looked way off with Capture One. Coming from Lightroom, one thing I missed a lot in Capture One was the radial filter and the print module. Digital Asset Management (Organize) and Publishing tools definitely need more work, I liked Lightroom in this case. Less plugin availability for Capture One. Lightroom Classic CC has a lot of preset options that are available easily. Capture One workflow: You can manage your files by using Capture One in a session mode (unique to Capture One) or the standard library catalog mode. 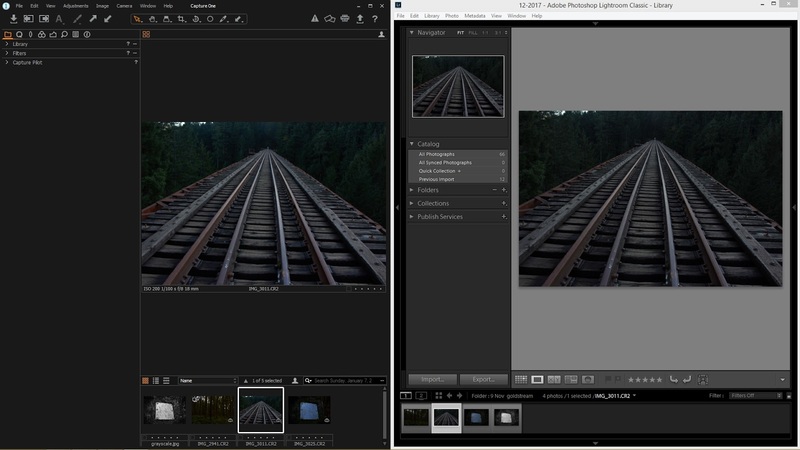 This is one of the major workflow differences between Capture One and Lightroom Classic. Sessions is a way to organize your photos outside of a catalog. Session mode is good when you do not want Capture One to do the organize stuff for you. If you like to see the folders physically present or you like to browse system folders, then a session is the way to go. Tip: Name your sessions in Capture One as YYYYMMDD format. This will make your life dealing with Capture One a lot easier.